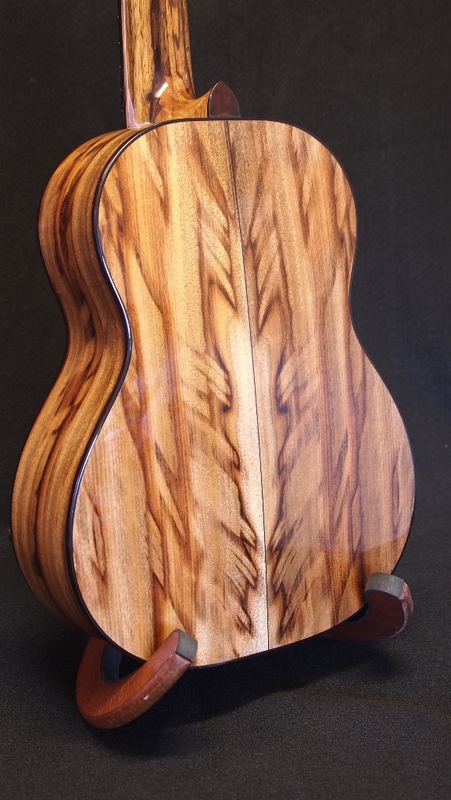 It’s been awhile since I have built one of my all Myrtle wood ukuleles. 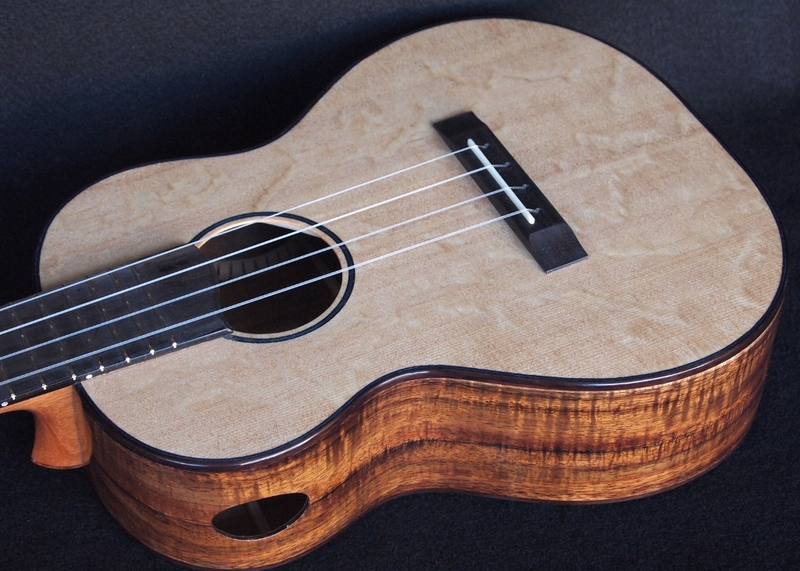 This particular instrument, delivered to Hale Ukulele last week, I am naming the Blond and Chocolate Myrtle Super Tenor Ukulele. 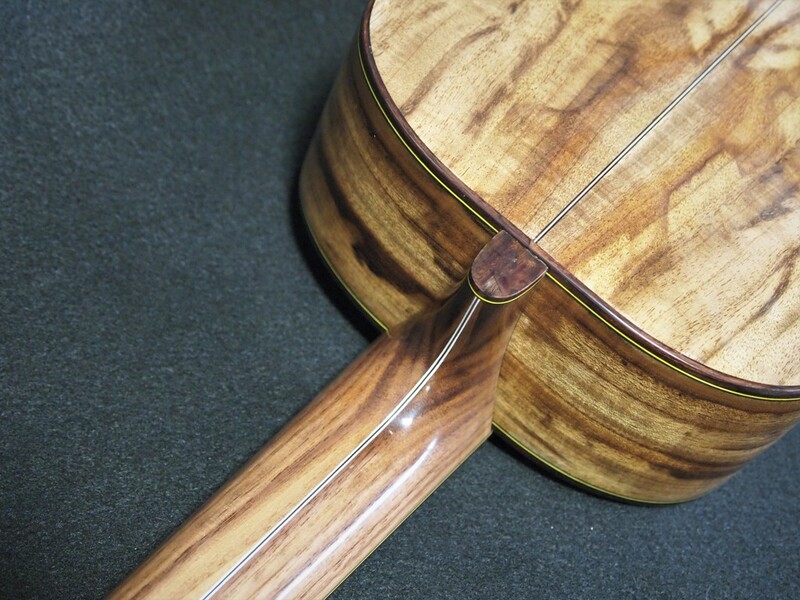 This is a great departure from some of the all Koa instruments that I have been asked for of late. 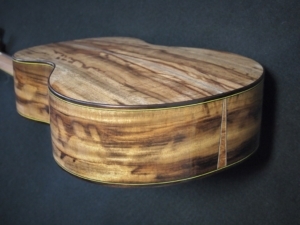 Curly blond Myrtle Wood sound board and warm chocolate streaky back and sides. 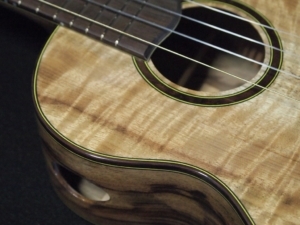 Since the density of Myrtle wood is approximately the same as Koa wood the sound it produces can be much the same. 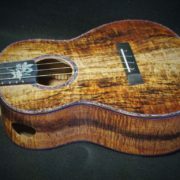 This instrument, however, was a bit bolder than the last all Koa super tenor that I delivered. 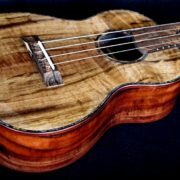 I didn’t think that a Honduran Mahogany neck would match that well so I built a composite neck of California Black Walnut. 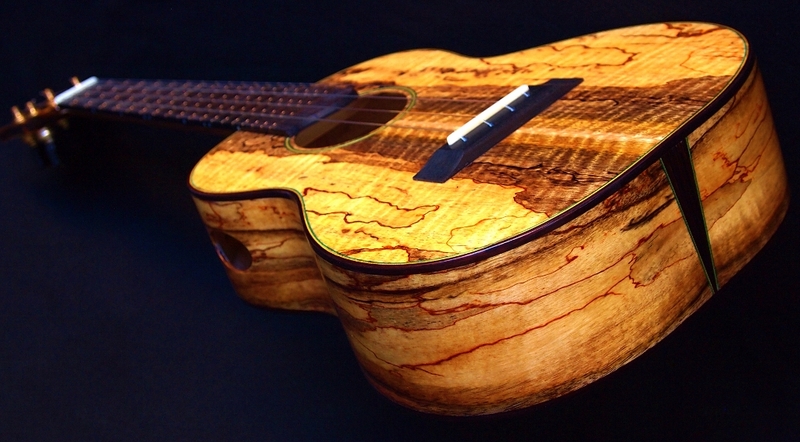 This look worked perfectly with the multitude of colors of the Myrtle wood. 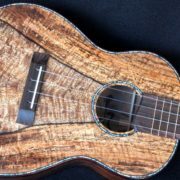 This year I’m doing more all wood rosettes. 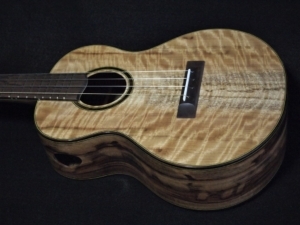 I used Oregon Black Walnut Burl wood for this instrument for all of the accents with the exception of the lower bout heal graft which is Asian Satin Wood burl. All in all the Blond and Chocolate Myrtle Super tenor Ukulele turned out to be a fun project and a great departure in looks from some of the standard woods presently being used in ukulele construction.